On a recent spring morning sunshine peeked through the curtains while I lay in bed, a small, warm body snuggled alongside me. My daughter doesn’t often sleep with us anymore but has developed a new habit of clambering in as the sun rises. So much of motherhood feels fast and busy, full of noise, boisterous fun and the stamping of little feet. In this modern whirlwind of a life I am always trying to adopt a more mindful approach, finding ways to appreciate the moments of calm in the madness. 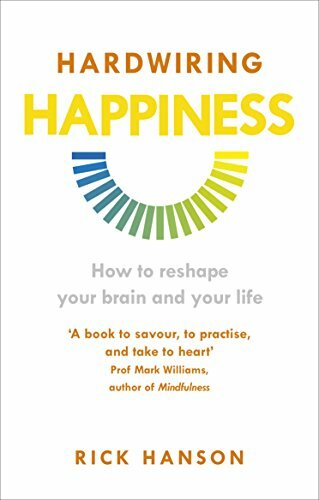 In his book, Hardwiring Happiness, psychologist and best-selling author Rick Hanson suggests that because the human brain is evolutionarily designed to notice the negative, that humans are depressingly terrible at observing the more positive aspects of life. One look inside my own brain or most major news outlets would suggest that there’s some merit to his hypothesis. But Hanson also has another more cheerful proposal. He believes that if we begin to choose to pay mindful attention to moments of contentment or happiness that we can physically alter the structure of our brains. That we can, on a fundamental level rewire our brains to enjoy and appreciate life more. This isn't just a fuzzy feel-good idea, the notion of brain plasticity being linked to the choices and actions we take in our lives is gaining traction in the scientific community. Gratitude practices have been linked with increased measures of subjective well-being. Mindfulness practices have been shown to have a whole host of positive benefits including reduced stress levels, improvement in the symptoms of anxiety and depression and even increased immune functioning. But science aside, it simply makes sense to me that if I choose to focus the spotlight of my attention on the positive rather than the negative I'll be happier. This notion struck a chord with me, lingering long after I read the last page. I am well aware of my personal tendency to ruminate on negative events, all the while steadily minimising the many positive aspects of my life. Using Hanson's structure to guide my daily gratitude and mindful practices has quite simply changed my life in an undramatic but significant fashion. Sound familiar? Why not try hardwiring your own happiness? It was remembering this that made me lie a little longer in bed that morning, banishing thoughts of the household tasks that awaited me, I chose instead to pay attention. I listened to the soft sound of breathing around me, felt my daughter’s warm weight along my side and appreciated the stillness of the morning. Becoming aware in that moment helped me to appreciate it in all its ordinary wonder. My daughter is a daily reminder of how rapidly time flies by, in the blink of an eye I see a little girl instead of a baby and the desire to freeze the moment is overwhelming. But I am learning what every parent does. That you no matter how much you want to, you can’t stop time. Change will always come in all of its unpredictable, messy glory. Only a couple of minutes later she rolled and shifted, bouncing with the energy that only the very young can muster on a Sunday morning and demanded to be taken for breakfast. I clambered reluctantly from the warm bed to the tune of her nonsensical singing and chatter, tumbling headfirst into another day of motherhood. But there was a moment and I’m determined not to miss any more. Mindful parenting sound like your thing? Join our mindful mothers community.